Aug. 8, 2017 9:30 a.m.
Tuesday marks one month since the province declared a state of emergency, as hundreds of wildfires engulf B.C.’s interior with no clear end in sight. Historically, August is the worst month in the wildfire season, but July’s unusually high heats and stormy weather has already made 2017 the second worst fire season in B.C.’s known history. Since April 1, crews have responded to 904 fires in the province, burning an estimated 604,000 hectares of land, according to BC Wildfire Service chief information officer Kevin Skrepnek – about the size of Prince Edward Island. This past weekend gave fire crews a reprieve to rapid spreading wildfires, as winds slowed and people obeyed restrictions on off-roading and campfire bans. But Skrepnek urged residents to remain vigilant and mindful of the tinder-dry conditions. There are 146 active wildfires burning, primarily in the Cariboo and Kamloops Fire Centres, with crews focusing on 26 larger-scale fires. 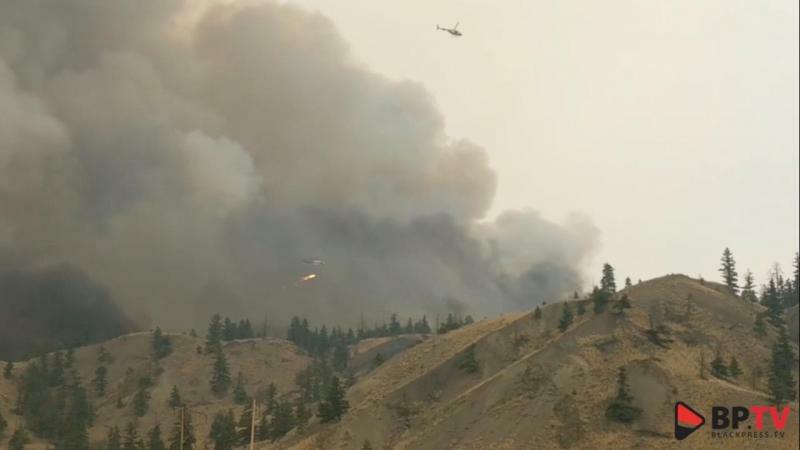 The biggest concern remains the Elephant Hill fire now burning near Clinton at an estimated 117,170 hectares in size. More than $240 million has been spent on fighting the raging fires, as well as the efforts of thousands of firefighters – some international – digging into hot ground, building fireguards while air crews attack with water and fire retardant. For more than 40,000 Cariboo and Interior residents, the month anniversary marks tireless and stressful weeks of living in tents, cots and couch surfing with friends and families – some still not allowed back into their communities. And while many are back in their homes, the heavy smoke blanketing all corners of the province serves as a reminder many of the regions remain on evacuation alert – told to be prepared to leave at any given time. The statement issued Sunday by local ranchers said one of them remains uncertain how many of his 100 cows were killed in the blaze near Clinton, B.C., which was started by embers blown over a highway from a controlled burn. Nyman said he doesn’t blame crews on the front lines of the fires, but management for making the call to start the burn. Ranchers and rural residents say they want to see an apology from government officials for the failed controlled burn and compensation for any livestock killed and rural property damaged as a result of fires. Skrepnek has previously said wildfires of such large scale can’t be fought with just water and retardants, and planned ignitions are necessary to get rid of fuels that allow fires to spread. 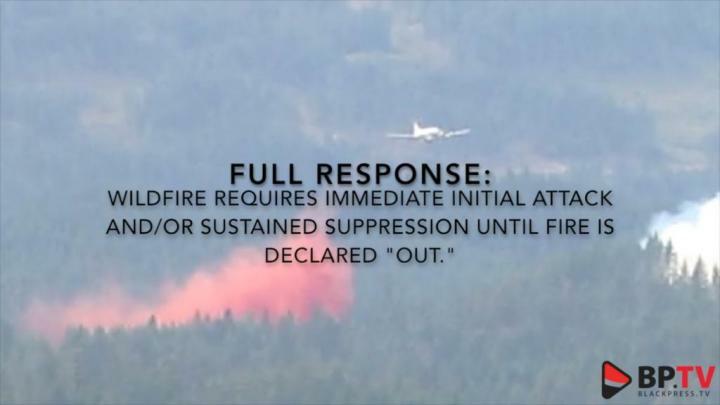 On Monday, Skrepnek said the BC Wildfire Service has been in touch with the ranchers and there is a mechanism within the Wildfire Act to entitles people to compensation. Firefighting remains the priority, but Robert Turner of Emergency Management BC said a program to rebuild damaged fences is already underway and a commercial livestock relocation program is available to those who need to temporarily move animals away from affected areas. “There’s a lot of work been going on to support agriculture generally and ranchers particularly,” he said.